Huge price reduction!!! Great country property for horses, cattle, ffa projects, equipment, toys, rvs, or a trucking business. With almost 9 acres of land, there are so many possibilities on how to put this land to work. Plenty of room to add a second home. You will find horse and cow corrals on this spectacular and well-maintained land. Lemon, grapefruit, tangerine are grown in this land and it has plenty of room to grow whatever else you would like. Country living at its best. 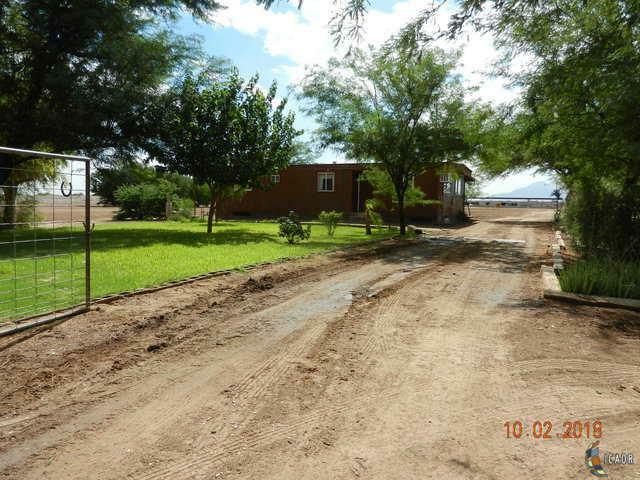 This house sits almost 9 acres of land, great for your desert toys RVs, horses, farm animals. The cozy House has tile throughout. 2099 Evan Hewes Hwy is a 3 bedroom, 2 bathroom Single Family home for sale in Seeley, CA. It's listed for $245,000 and it's been on ERA.com for 196 days. Built in 1985 , this property has a lot size of 8.7 Acres. This listing is provided courtesy of CAPITAL REAL ESTATE. Interested in seeing more Seeley homes for sale? Here on ERA.com, you can search for all Seeley MLS listings, save properties that catch your eye, and contact a real estate agent when you're ready to take the next step!